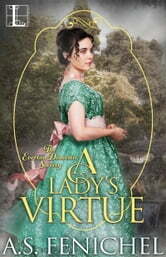 A Lady’s Virtue is an enjoyable book. Good story with believable characters and story. Would have liked the ending better with the wedding added. Lol Would read this author again. Need Miles’ story ! I was so excited to see another Everton lady! 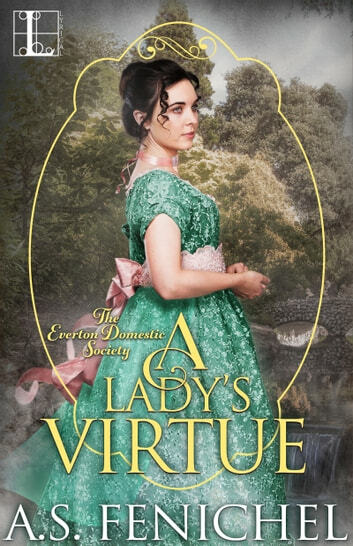 Just love this whole series and A Lady's Virtue is just delightful! Of course that is no surprise beacause this author has had me under her spell ever since the first book I read by her. A broken engagement and almost left at the alter, Sylvia Dowder has put her energy into being a secret gossip columnist. But also she becomes a party planner for the Everton Domestic Society! (yes I would have wanted to be one of them!). But she has set her mind to never fall for another titled man as before. Unfortunately she had not met Anthony the Earl of Graton yet! He is determined to not take a wife and hires Sylvia from the agency to act as a hostess and planner for his parties. Why in the world would he need a wife when he has her? So loved this story and the chemistry between Sylvia and Tony! A lot of fun banter between the two and lively interaction. Cannot wait for the next in this series and I recommend you read this one and all in this wonderful stories! Love this series! And this might be my favorite one in the bunch. Becoming the Earl of Grafton would be a blessing to most, but Anthony feels it's actually been a huge inconvenience because it comes with so many expectations from so many people. One of those expectations comes from his mother - the expectation that he should marry, and soon. Meanwhile, Sylvia is back on the shelf after a broken engagement so she signs up with the Everton Domestic Society to give herself a purpose and a future. She's the perfect person to help aristocrats because she's smart and efficient and there's no chance she'll ever fall for one. In the hope of convincing his mother he doesn't need a wife, Anthony retains an Everton lady to put together a few gatherings at his home to introduce himself to the ton. He and Sylvia work well together and soon respect turns to admiration turns to affection. Anthony resists falling for Sylvia because he doesn't want the additional responsibility, and Sylvia resists because she fears being hurt. A little bit of push and pull results, and plenty of their friends and family get in on the hi-jinks to help them get their HEA. Well-paced plot, delightful characters, and palpable chemistry between the leads make this an outstanding historical romance. I find the struggle for true love encounters many difficulties. This story is about such a love. Sylvia/Sylvie in life is a strong, organized, talented hostess. She has a sharp wit and is humorous. When it comes to emotional love she is a basket case. Because of the way her mother raised her and because of the betrayal of her former fiance, she feels unworthy. When she sees Anthony/Tony again and begins working for him, her feelings and emotions muck up her and Tony’s life. Tony is long suffering and patient. He is not willing to be thwarted by Sylvie. But the man has limits and from time to time feels to give up. One can only stand so much rejection. The sub characters are warm, loving and delightful. I enjoyed reading this.